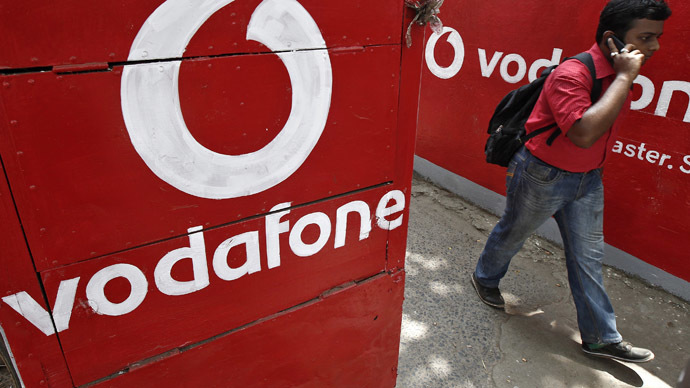 Vodafone has warned its customers of possible signal problems in the coming months as falcons have decided to build their nests in the firm’s masts. Faster service will only be achieved once the birds move on. The falcons, ironically the world’s fastest birds, are set to slow down the provider’s mobile network, after occupying masts around London, their ideal nesting spot. Customers will have to wait up to two months for the falcons’ chicks to hatch and take flight before regaining their standard service. The mobile-phone giant is unable to remove the nests, as it’s a criminal offence to disturb birds while they are nesting under the Wildlife and Countryside Act of 1981. If they were to disobey this law, the company could face a fine of up to £5,000 and offenders could face six months in prison. There are 30 nesting pairs in Greater London, and six more birds have recently occupied nests in Hammersmith, Shadwell and Lewisham. The falcon takeover will cause delays to service upgrades and customers may face disruption to their current network. This isn’t the first time falcons have caused Vodafone users inconvenience. @Northern_Claire It could be worse. Vodafone users in Southampton haven't had signal for months cos a peregrine falcon nested on the line. In April 2013, users complained about poor service in Southampton, where engineers discovered falcons nesting in the masts. “I never get signal at uni, stupid Vodafone,” another Southampton student tweeted. Calling the situation “unprecedented,” Gordon says, to his knowledge, it is the first time this has happened in London. “They can sometimes nest on the mast itself which is like a big metal climbing frame or use the box underneath where the computer stuff sits,” he told the paper. He said Vodafone is inspecting individual sites to upgrade equipment as part of its 4G project. Falcons nearly became extinct in the 1960s after their numbers were threatened by pesticides, but laws controlling the use of such chemicals meant the species slowly recovered. Stuart Harrington, co-founder of London Peregrine Partnership told the Evening Standard: “There are more peregrine falcons in London than there are in more picturesque areas up north.